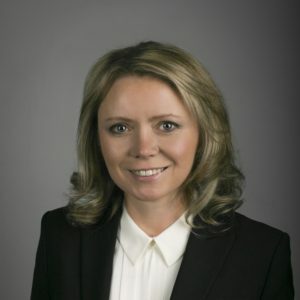 Sylwia is a Director at Geller Advisors. She brings over twenty years of experience helping high net worth individuals and families manage their financial planning, investment, trust administration, financial management, and comprehensive reporting needs. Sylwia advises clients on how to integrate their extensive financial needs and desires in order to develop financial plans and comprehensive reporting packages. She oversees implementation of the plan, working across advisory teams such as investment, tax, and financial management, to ensure all client goals are achieved. Prior to joining Geller Advisors in 2004, she was a Financial Advisor at JPMorgan Chase & Co. providing financial solutions for small and midsize businesses, including banking, financing and debt restructuring services. Sylwia received a BBA with a concentration in Finance from Pace University, and is a Certified Financial Planner®. Additionally, she passed Level I of the Chartered Financial Analyst® program.